The penultimate episode of Brian Cox’ new documentary Human Universe was again a return to the old form. Called A Place in Space and Time, this time the astrophysicist takes a look at how humanity found out about its locations in the universe. As usual, this again involves travelling to a lot of exotic locations, but not without very good reasons – this time the journey goes to England, Morocco, Italy, the USA and Poland. It’s one of the most epic, but also most amazing and entertaining episodes of the series so far with many surprises and a wonderful surprise guest. Are we alone? This is what Brian Cox asks in the third episode of his documentary Human Universe – an uneasy question not only because of its conspirational undertones. But the astrophysicist does not wax lyrical about UFOs or goes alien hunting, but remains with two feet squarely on the ground and answers the question in his usual rational and scientific manner. In contrast to the previous episode, this one is again much more solid and centers around the probability of life other than ours in the universe. There is much traveling to exotic locations and there are even swimming pigs, but this time it is all held together by a strong common theme. The BBC continues to be amazing this fall and winter. David Attenborough returns this week with a new six-part series called Life Story, chronicling the life cycle of animals starting on Thursday, October 23rd at 9pm British time on BBC One and a repeat on Sunday afternoon. 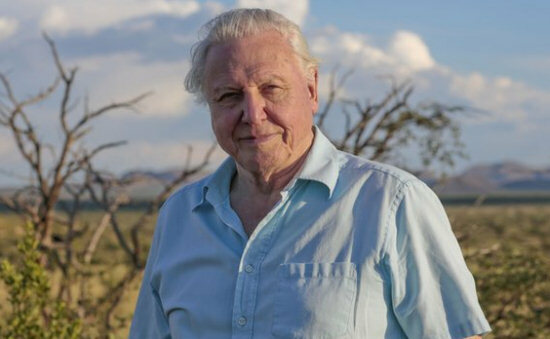 This is actually fairly similar to his previous series The Trials of Life, but an update seems a good idea – David Attenborough has never shied away from embracing new technologies and the jump from 16mm in 1990 to 4K high definition in 2014 should be worth watching. There’s already a wonderfully whimsical trailer available on Youtube and the BBC’s press release about their next natural history efforts also reveals that Attenborough also has three other one-off documentaries about ostriches, dinosaurs and birds of paradise coming, although their airdate is still unknown. He is also working with the BBC on a new documentary about the Great Barrier Reef – it’s great to see that his age isn’t stopping him in the least. In the second episode of his new series Human Universe, Brian Cox travels to India and Japan to try answering one of the biggest questions of humankind – how we came to be here on this planet. The main themes of this episode are actually random chance paired with the laws of nature and how they are responsible for just the right coincidences to make the evolution of humankind possible. The approach is somewhat less scientific and a bit more philosophical and unfocused than in the first episode, with the many examples and analogies missing a common thread. Brian Cox had already tackled the Wonders of the Solar System, the Universe and Life in his previous three brilliant BBC documentaries and this year he has been filming his fourth series, focusing on human evolution. 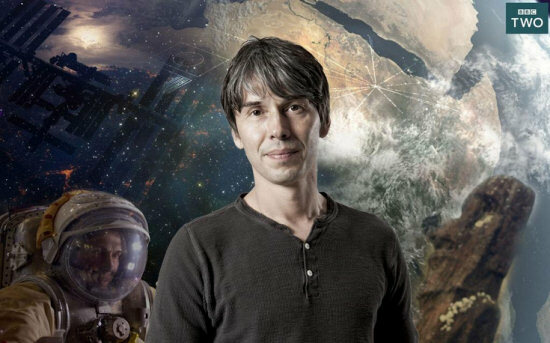 Made by the same great team that worked previously with Brian Cox, Human Universe walks firmly in the footsteps of its predecessors and the first episode, broadcast on Tuesday by BBC2, has already been amazing. This will be the first of a series of short reviews of each episode which I hope to continue in the next weeks. Although I have to admit that I had only made a fleeting acquaintance with the Rocky & Bullwinkle Show and their time-travelling duo of Sherman and Mister Peabody, because they had never made it to German television, I was eagerly looking forward to Rob Minkoff’s big-screen adaption. The concept seemed a lot of fun and with Dreamworks behind it, Mr. Peabody & Sherman was bound to be a success – which it turned out to be. It’s the best time-travel adventure in a long time and one of the most wonderful movies of the studio, modernizing the original cartoon carefully without ignoring its beginning. The German home video release was a world premiere, although the DVD edition leaves a lot to be desired in the extras department despite the flawless technical representation. 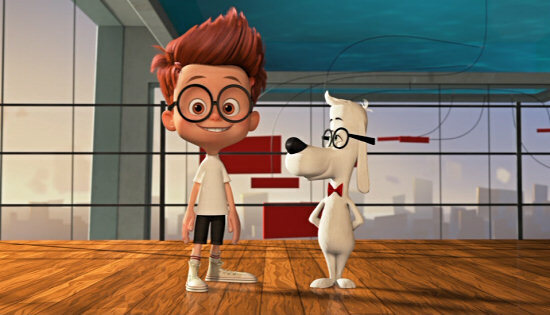 Today’s review, as usual, concentrates more on the movie than on the DVD itself, so I’m going to have an in-depth look at what makes Mr. Peabody & Sherman tick. The German disc has been out since September, the UK release is today and North America will follow next Tuesday on the 14th.